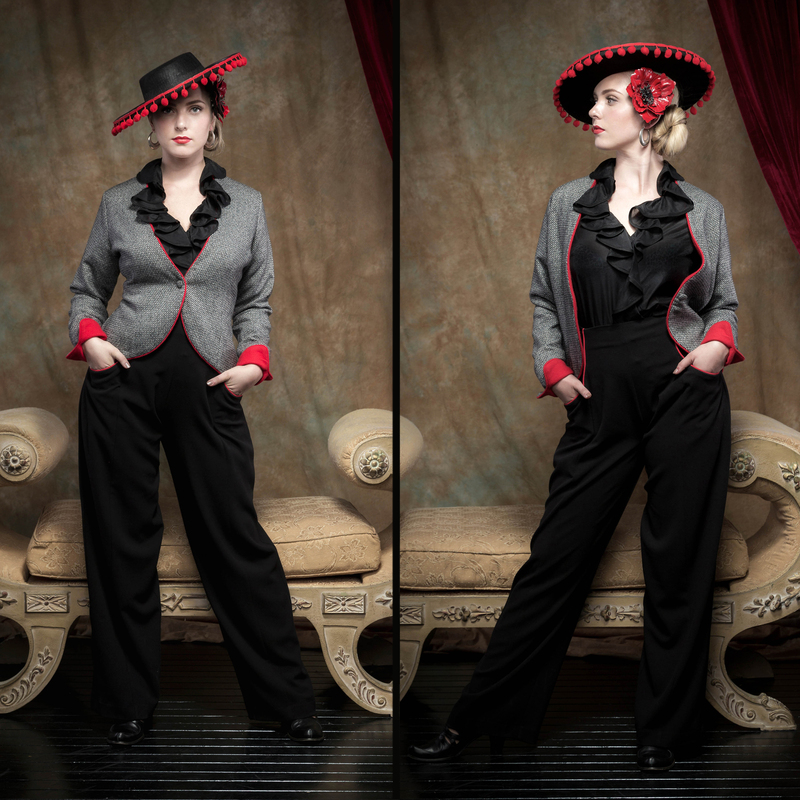 Bella is wearing the Carmen Jacket in DIAMOND/red, the Romana Ruffle Blouse in BLACK silk/cotton and the Amaya High Waisted Pants in BLACK/red. The Romana Ruffle Blouse is a timeless and classic blouse and a perfect accompaniment for the Carmen Jacket. There are various colour options. The Carmen Jacket seen here in a wool blend DIAMOND/red, matches back with the Fantail Skirt in BLACK/red and the Amaya High Waisted Pants to create a winning suit.